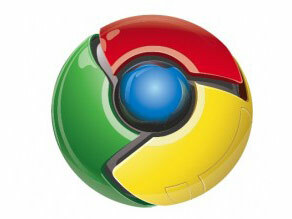 Google’s take on the web browser, Google Chrome, has recently received two security patches. The development team behind the Chrome browser had to release these updates in order to address data stealing vulnerabilities that plagued the software product. The good news is that these security problems are only ranked as moderate in terms of severity. The bad news is that to this point only the developer Chrome version was patched, but we can expect it to be released to regular users as well in the near future. The security vulnerabilities in question, r4188 and r4827, refer to the fact that an attacker could steal arbitrary files from your machine by employing specially crafted HTML files. When you download said HTML files, they are able to read other files that are stored on your disk drive; the collected data is then sent to certain web pages (most likely set up in advance by the attacker). This security issue has been deemed moderately sever because it requires the user to get fooled into downloading and opening the malicious HTML file. It must be noted that other issues have been addressed by the Google development team with this recent Chrome release, developer version number 0.4.154.18 If you are dead serious about updating your Chrome browser, then you must know that this can be achieved by downloading and installing the Google Chrome Channel Chooser. Detailed instructions regarding the plug-in and how to use it are available here. In related news, the third Beta installment of the Chrome browser was released by the Google team late October. At the time, version 0.3.154.9 of the software product addressed a spoof pop-up vulnerability, several bug problems, and some enhancement issues. Also, did you know that the first plug-in to get the thumbs up from Google is Greasemonkey? Update: the Chromium Dev Channel has released version 0.4.154.22. This version of the Chrome browser does not bring any new features to the software, it is only meant to fix some bug issues – 21 bugs in total, but who’s counting.